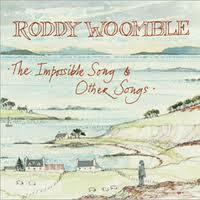 Roddy Woomble, not to be confused with any womble, is the lead singer of Scottish rock band, Idlewild and is also a solo contemporary folk musician. 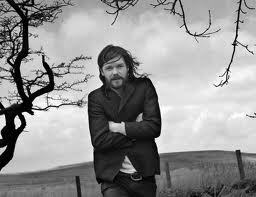 To date, Woomble has released six full-length studio albums with Idlewild, and two solo albums, My Secret is My Silence and The Impossible Song & Other Songs the latter being released last month. The album’s artwork is by author and illustrator Mairi Hedderwick, noted for her series of children’s books featuring Katie Morag. The album was recorded over four months at Mull’s local arts centre, An Tobar, with Woomble enlisting thirteen musicians to assist in recording. Former Idlewild bassist Gavin Fox appears throughout the album, alongside other noteable musicians, including Phil Cunningham, Lau’s Aidan O’Rourke and Michael Marra.